Baroque music expresses order, the fundamental order of the universe. Yet it is always lively and tuneful. Follow the development of music through this brief outline, from the earliest times to the present day, with baroque music set in historical context. The English word baroque is derived from the Italian barocco, meaning bizarre, though probably exuberant would be a better translation more accurately reflecting the sense. The usage of this term originated in the 1860s to describe the highly decorated style of 17th and 18th century religious and public buildings in Italy, Germany and Austria, as typified by the very baroque angelic organist heading this column and adorning the Gottfried Silbermann organ completed in 1714 for the Cathedral in Freiberg, Saxony. Later, during the early-to-mid 1900s, the term baroque was applied by association to music of the 17th and early 18th century, and today the term baroque has come to refer to a very clearly definable type or genre of music which originated, broadly speaking, around 1600 and came to fruition between 1700 and 1750. Listen to music of the 1200s and 1300s. Its relatively primitive in terms of melody and harmony. If we move to the 1500s we find a great difference, as Italian music began to blossom and English composers like Dowland, Morley and Tomkins produced the wonderful melodies and surprisingly sensitive poetry which accompanied them - or vice versa. A major theme underlying music at that time however was the exploration of form. There was still so much new to discover: new melodic lines and harmonic progressions to be explored, new combinations of instruments, and new forms in music such as the fugue, canon, and variations on a bassline, a popular tune or a chorale. As the 1600s progressed, so these different musical forms took on definite shape, and the period from 1700 to 1750 can clearly be seen as the high baroque. Two geographical influences were at work here. 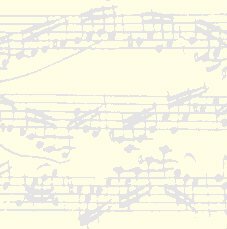 In north Germany and Holland, composers such as Froberger, Kerll, and particularly Dietrich Buxtehude were concentrating mainly on the art of counterpoint, especially the fugue. Here, organ and voice were the major elements. At the other end of Europe, in Rome, the instrumental forms of the sonata and concerto were formalized. Every period in music has certain recognizable clichés, and much of what is typical in baroque music, specific cadences and snatches of melody, can be traced back to one Arcangelo Corelli, who seems to have influenced just about everybody, from his Italian contemporaries and students to Handel who sojourned in Rome from 1704 to 1710. From Rome, the Italian influences spread northwards while the stricter north German forms flowed southwards, intermingling to produce a common baroque vocabulary. Indeed, the inter-mingling of musical trends from different parts of Europe was surprisingly extensive, considering the relatively primitive methods of travel and communication. Vivaldi, Geminiani, Corelli, Scarlatti, Handel and many others all met one another or were thoroughly conversant with one another's music. Bach journeyed north from his base in Thuringia and Saxony, southern Germany, to hear Buxtehude, and his later travels included Dresden and Berlin. Bach owned and/or copied the music of many of his contemporary composers, often re-writing them for different instruments. Indeed this was a recognized method of study widely practised in baroque times. It is also important, when studying the composers and their music of the baroque or indeed any age, to review the circumstances in which composers worked. Take Vivaldi for example. Though he wrote many fine concertos (like the Four Seasons and the Opus 3) he also wrote many works which sound like five-finger exercises for students. And this is precisely what they were. Vivaldi was employed for most of his working life by the Ospedale della Pietà. Often termed an orphanage, this Ospedale was in fact a home for the female offspring of noblemen and their numerous dalliances with their mistresses. The Ospedale was thus well endowed by the anonymous fathers; its furnishings bordered on the opulent, the young ladies were well looked-after, and the musical standards among the highest in Venice. Many of Vivaldis concerti were indeed exercises which he would play with his many talented pupils. Two major influences in Germany were the Church and the State, or rather, States. Neither Italy nor Germany existed then as we know them today. Germany was a complex mass of small princely states, each with its own Court and, with any luck, Court Musicians. Alliances came and went as princely families inter-married thus uniting, for a time anyway, their respective territories. That is why so many princely titles of those days were hyphenated, as for example, Anhalt-Köthen or Saxe-Coburg. Many a composers fortunes rose or fell with the status accorded to music at the court in which he was serving, and composer-musicians would try to seek a position in a city or court where music was known, for the time being anyway, to be thriving under the patronage of an enthusiastic king or prince. The direction of Bachs music was influenced in his early years by several courts at which he was employed; the greater part of his working life however was spent in Leipzig where his position as Cantor of St Thomas Church required church cantatas in abundance (200 have come down to us, some 100 more are supposed lost). A brief look at the life of Handel illustrates both the mobility, and the influence of royal patronage on a composer typical of the baroque age. Georg Friederich Händel was born in Halle (Germany), on February 23rd,1685, just a month before J S Bach was born in Eisenach, not so far to the south. Handels father intended him for the law, but his own musical inclinations soon prevailed. Following his studies in Germany, Handel went to Italy where he spent more than three years, in Florence, Rome, Naples and Venice. In Rome he studied with Corelli, and no doubt met and exchanged ideas with a number of other Italian composers. Handel left Italy early in 1710 and went to Hanover, where he was appointed Kapellmeister to the Elector, George Louis. The Royal Houses of Britain and Europe had always been closely inter-related, and Englands Act of Settlement of 1701 which secured the Protestant succession to the Crown, placed George directly in the line of succession. In 1705 George was naturalized by Act of Parliament, and in August 1714 the death of Queen Anne made him King of England. Handel, who had already visited London and apparently found it to his liking, was to follow the Elector in adopting British nationality, and indeed part of Handel's success in London was due to the royal patronage of the Elector of Hanover, now King George I.
Handel became deeply involved, both artistically and commercially, in the growing London opera scene. Later, during the 1730s he would lean more to the English musical forms, the oratorio, ode and the like, and his Messiah belongs very much to the anglican anthem tradition. When Handel died on April 14th, 1759 he was buried in Westminster Abbey, recognized in England as the greatest composer of his day. In his association with royalty and royal occasions, Handel followed a tradition set fifty years earlier by Purcell, and is still regarded as one of Englands greatest composers. 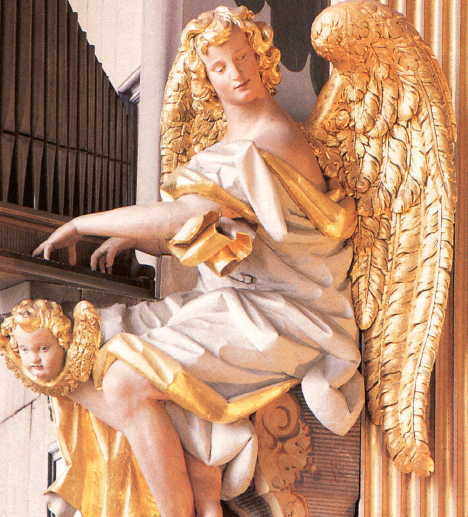 In the music of JS Bach, the different forms and styles of the baroque came together and were brought to perfection. Johann Sebastian Bach came from a musical family stretching back through many generations, and the Bachs were well-known throughout their home ground of Thuringia in what is now southeast Germany. The Bach family members were church and court musicians, teachers, and one or two were instrument-makers. Though Bach himself traveled less than some of his contemporaries, he seems to have been able to draw freely and widely on the developments taking place throughout the western musical world as indeed were all the other major composers. Later in Bachs life, during his Leipzig years, his son Carl Philipp Emanuel wrote that no musician of any consequence visiting Leipzig would fail to call upon my father. Leipzig was an important and cosmopolitan university city, and visiting musicians would call upon Bach or stay at his apartments in the Thomas School building where they would make music together on whatever ensemble of instruments the occasion could muster. Many of Bachs later concertos were written or modified for such occasions  the 3 and 4 harpsichord concertos for example. When Bach died in 1750 he left a legacy which summarized his art, his lifes work in which he had, by general recognition, brought baroque musical forms to the peak of their development. He left 48 Preludes and Fugues for the keyboard adopting the new equal temperament enabling all keys to be played equally and modulation between keys; he left us the Art of the Fugue (complete, though many deny this, attaching an incomplete fugue which is not part of the Art), and the Goldberg Variations, a set of 30 Variations on a popular tune. He also left numerous collections of chorale variations, canons, and fugues, as well as many pieces in more standardized form such as preludes, sonatas and concertos. Add to that, some 200 cantatas, the Passions, and the monumental B-Minor Mass  plus the Four Shorter Masses which Bach assembled drawing upon what he considered as his finest cantata movements for his friend Count von Sporck whose life in Catholic Bohemia precluded sacrilegious Protestant music. After Bach music took a different turn. Even the music of his sons, with the possible exception of Wilhelm Friedemann, was quite different in character, expressing the new gallant style which was lighter, with less stress on pure form  and having its own set of clichés! Here we find composers such as Haydn and Mozart, to be followed by the romantic composers such as Beethoven and Tchaikovsky. It was however in the baroque period that the essential language of music was defined, and it is interesting to note how successive composers would often return to base, studying and playing Bachs works, writing fugues in the baroque style, or adapting the works of baroque composers. Mendelssohn led the baroque revival, while Mozart, Schumann, Beethoven and many others produced fugues in strict baroque style. Max Reger, as well as writing many pieces in baroque contrapuntal style, adapted Bachs Six Brandenburg Concertos for two pianos. Many instruments reached the peak of their development at the height of the baroque era; the organs of Arp Schnitger (north Germany) and Bachs close friend Gottfried Silbermann (Saxony, south Germany) were among the periods finest and are still regarded as such today. Likewise the cellos, violins and other stringed instruments of the baroque Italian masters are the prized possessions of todays professional string players. The domestic, and later concert keyboard instrument provides an example of disappearance, replacement, then rediscovery. The baroque age favoured the harpsichord, in which the strings are plucked and the player cannot vary the tone through finger touch. After 1750 the piano took over, offering touch sensitivity, and developing later into the iron grands needed for concert-hall performances of the great romantic concertos by such as Beethoven. Interestingly however it was the organ builder Gottfried Silbermann, working with Bach, who contributed substantially to the development of the piano. King Frederick the Great is said to have owned no less than fourteen Silbermann fortepianos (as they were then called) in his Sans Souci palace at Potsdam, just west of Berlin, and it was ostensibly in order to try out such an instrument that JS Bach was invited to Potsdam in 1747. The result of this visit was the Musical Offering. These days more and more people are seeking a return to music for the mind, music combining beauty with the order of an underlying architecture and structure. So we are witnessing a resurgence of interest in the baroque, and those who are fortunate enough to be as yet unfamiliar with it have a wonderful experience awaiting them. Articles, biographies, portraits, music samples.